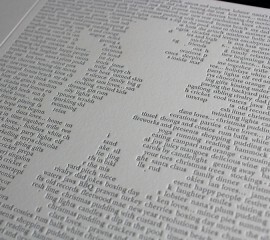 A limited edition letterpress printed lyric sheet commissioned by EMI Music Australia. 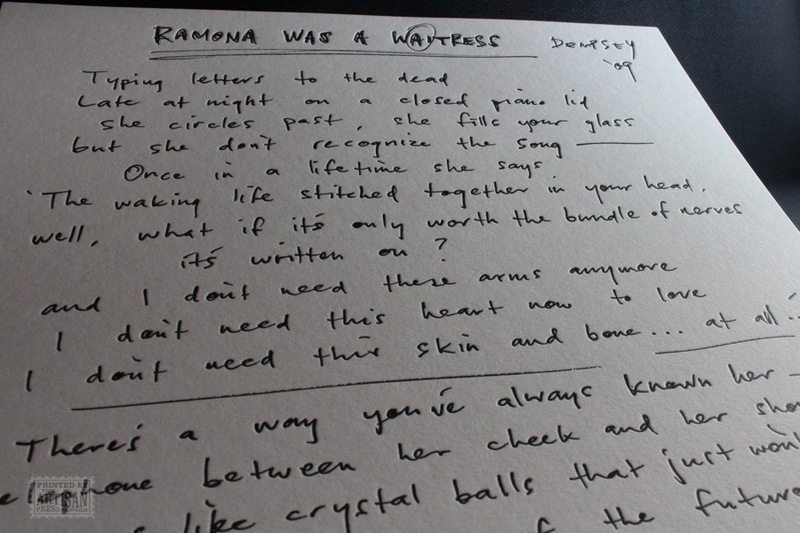 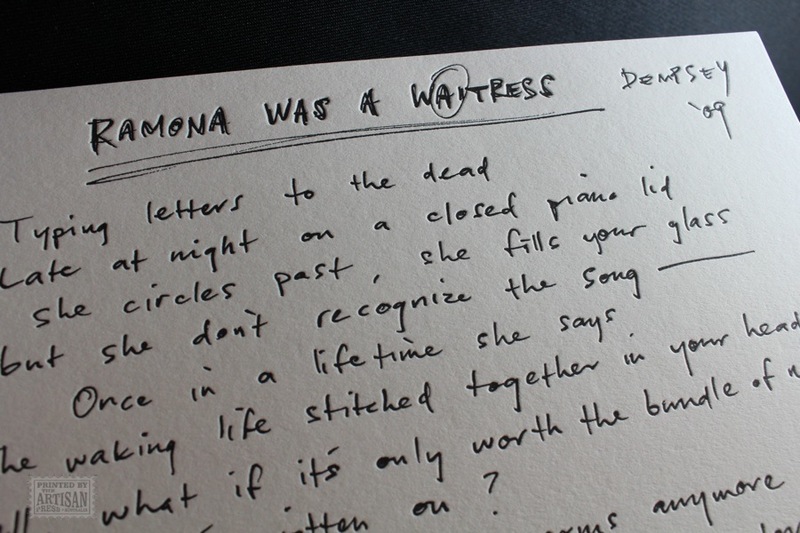 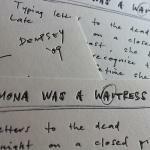 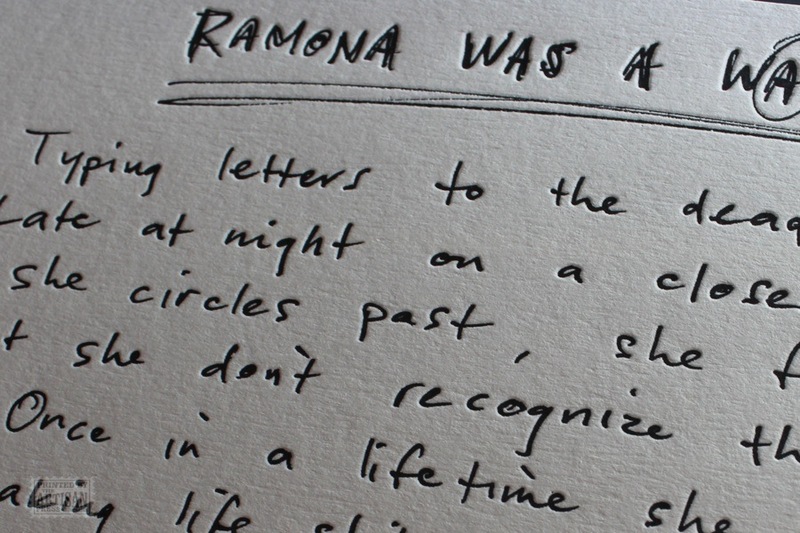 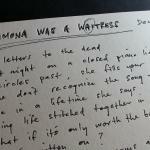 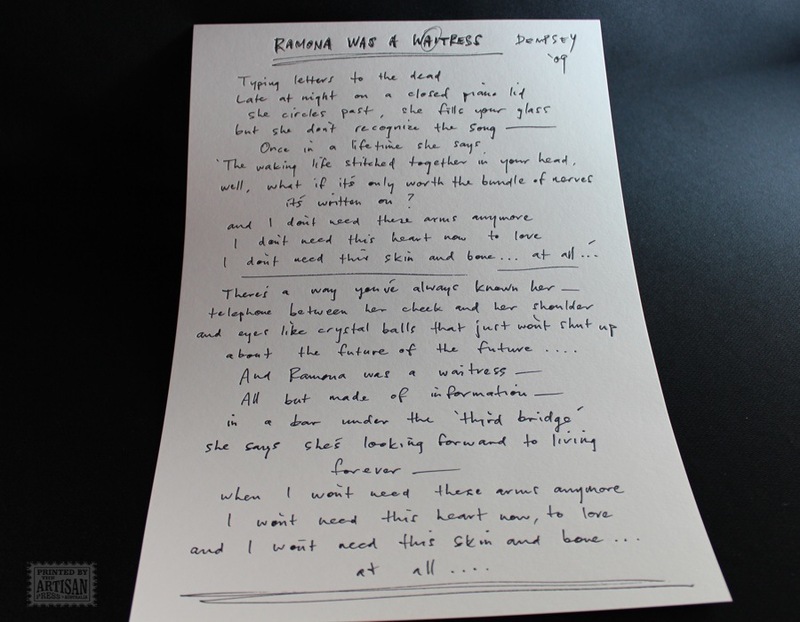 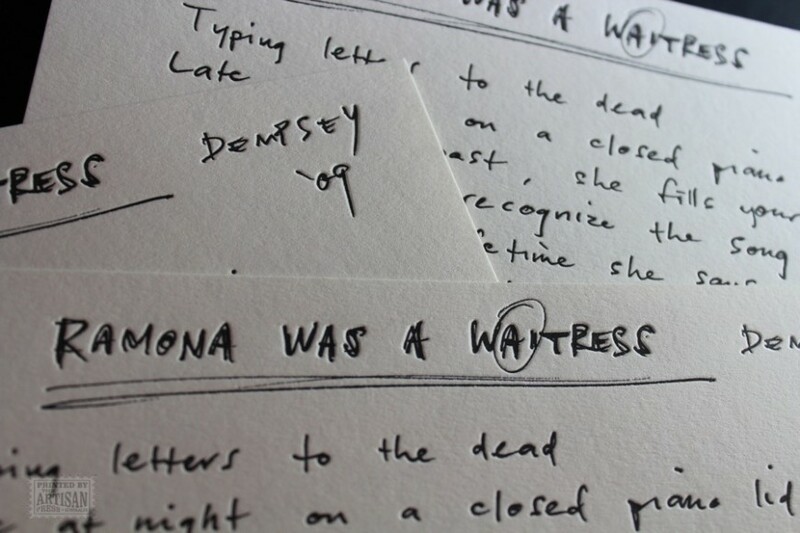 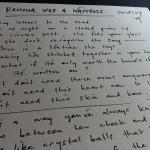 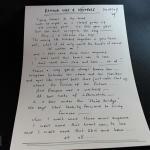 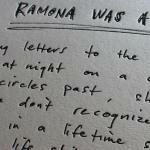 The handwritten lyrics for the single, “Ramona was a Waitress” by Something for Kate’s Paul Dempsey appeared as a special inclusion in the sold out deluxe edition of his solo album “Everything is True”. 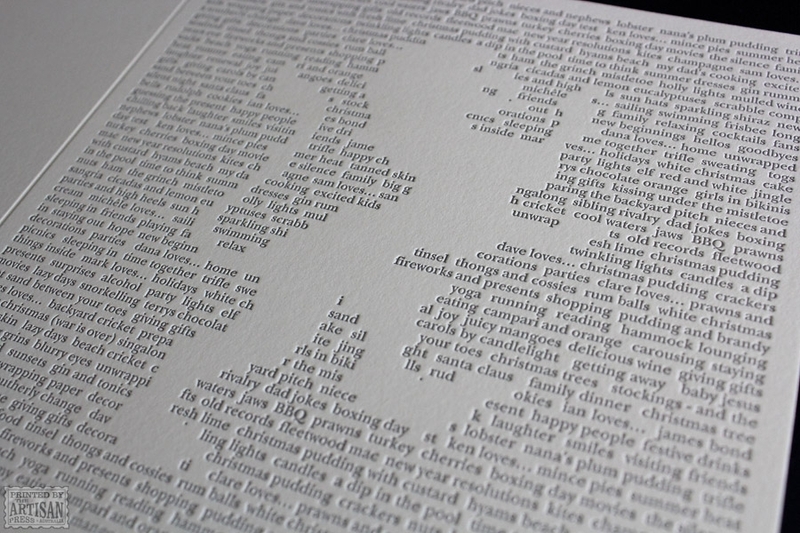 A nice flashback for The Artisan Press to Wayne’s early days in the pressroom printing record covers. 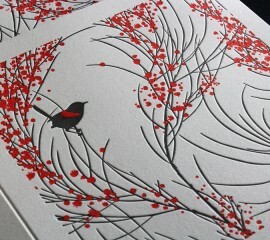 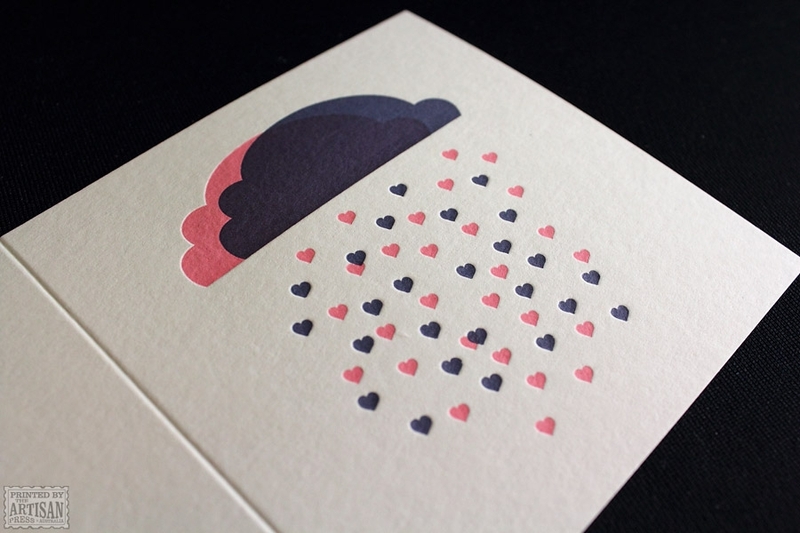 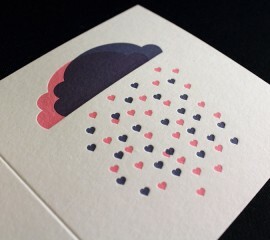 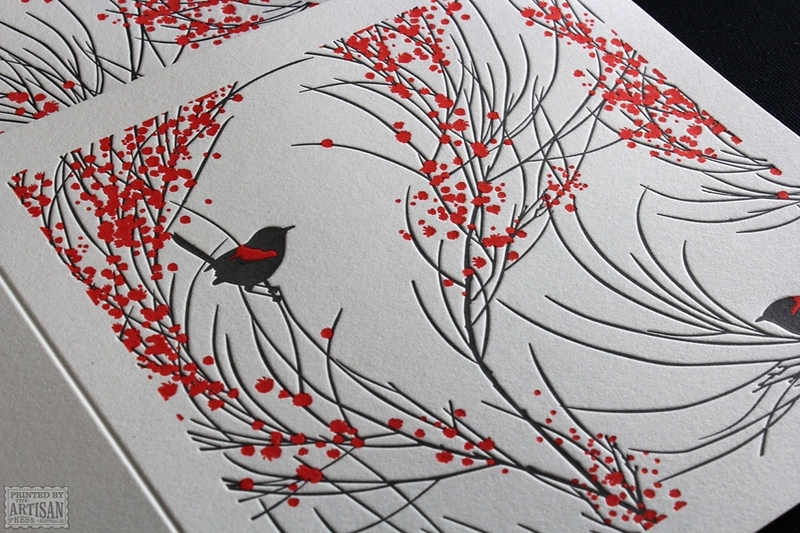 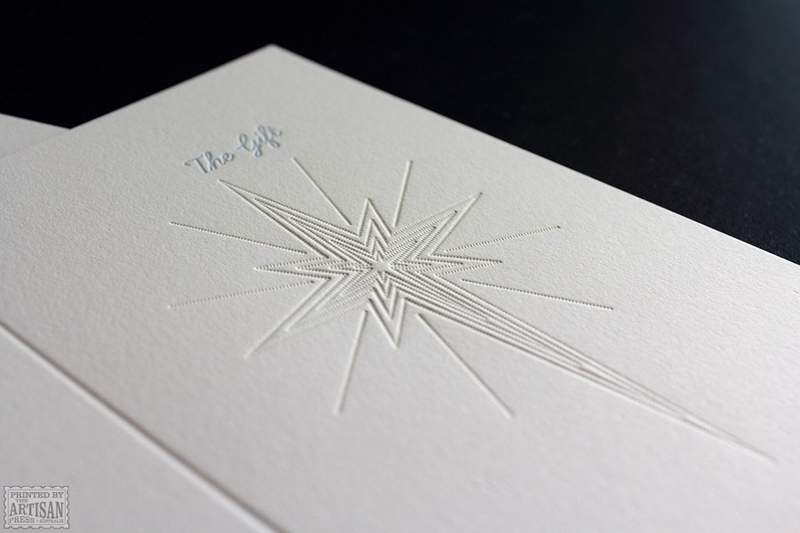 The Artisan Press is a multi-award winning fine letterpress print studio established in Sydney in 1999. 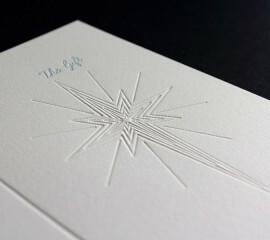 Located in Byron Bay, NSW since 2009 we service a discerning Australian and international clientele seeking our refined approach to contemporary letterpress using techniques and methods we've pioneered over 15 years.